Nick has over 18 years of professional engineering experience, and has run the gamut from Acoustic folk music to Jazz to prog rock. When you want to have someone who will work hard at making your project the most exciting and best sounding possible, Nick is the best choice. Whether you are considering starting your project, or are in the final stages, and feel that you need an engineer that will get you to that next level, or that will propel your music with a great mix into that place where your music will transcend and break through to a new audience, Nick can help you make that happen. 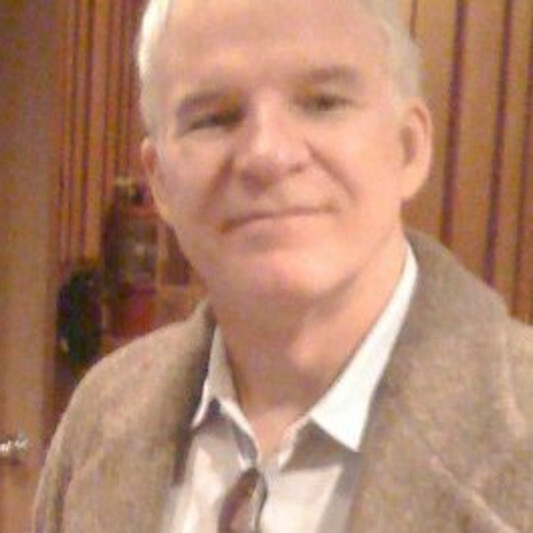 A: I am especially proud, of course, of the album "The Crow", by musician / actor Steve Martin. When we first started on it, no one knew if it would do well. It got record label backing after it's sales soared independently, and eventually won Album of the Year Grammy - Bluegrass Category, in 2009. My role was as editor during production, having to assemble recordings from many different studios into each song, from two continents no less!!! And I also mixed the album for Steve and his pal and producer John McEuen, who is a wonderful person and still a good friend of mine. A: I am working on a spoken word poetry album, to be released by early next year. It is a very powerful marriage of modern poetry, and different music genres, such as jazz, hip hop, and R&B. A: Andrew Scheps, he is an amazing mix engineer. We are both members of the Audio Engineering Society. A: Mainly digital because of convenience, ease of use, and recall ability. A: My promise is that they will love their song after we are done with the mixing process. A: I love to help people realize their dream and vision of the music they love, to become a reality, to become something they can enjoy and sell as well. A: How long does it take you to mix one song? And my answer is anywhere from 1 hour to 3 days or more, it really depends on the song and the desired result. A: That I can somehow make a mix that will sell zillions of copies, just by the merit of having been mixed by me. I always tell artists that the quality of the song, it's content, such as its lyrics, are far more important than anything else. A: I usually ask what genre of music they are playing in their current project, what main influences they have, and how far along the project they are. A: I would advise that you have some idea as to what your final product could / should sound like. This will help in keeping costs down, meeting the deadline, and keeping the focus on the final goal of putting your product out on the market. A: A great acoustic guitar, equipment for generating electricity, a tape machine that does not break, such as a Nagra, one good dynamic microphone like a Shure SM58 (unbreakable), and plenty of tape for the tape machine. A: I started as a guitar tech / roadie, in the late 1980s. I found myself inside a recording studio control room, and fell in love with it instantly. I was able to get a job as an assistant engineer at a post production facility in Mexico City, in 1996, and have been engineering ever since. I have been engineering for almost 20 years now. A: My style is more about making the artist sound their best. I cannot really state that I have a particular sonic "style" to my mixes. I prefer to give my clients what they want sonically, as opposed to forcing my particular vision on their music. After all, they get to live with it. A: I would love to work with Peter Gabriel, because he is amazingly creative, and also allows his team to be creative as well. A: Always record the vocal as dry as possible, in the largest room you can possibly do it in. A: Typically music that has acoustic instruments as part of the arrangement. all types of Rock, Bluegrass, Blues, Jazz, Classical music, etc. Sometimes, and increasingly so, there are songs which contain electronic elements, which are fine with me too. Genres such as progressive rosk and electronic music can be an exciting challenge to mix well. A: My strongest skill is without a doubt, the ability to listen very carefully to a mix, and to be able to tell rather quickly what I can do to improve it. A: I try to bring a sense of excitement, of balance, of feeling good when listening to a song. The most important thing to me, is being able to communicate an emotion via the song, and my job is to ensure that the actual recorded instruments all work together to make that happen, to make the listener FEEL the same as the artist. A: I like to start by listening to the song I will be mixing, for some time, and quickly getting into the "vibe" of the song, into discovering what it's soul is. Once I have spent some time just listening, I typically will mkae notes of first impressions, issues, musical directions, and other notes that will help me stay focused throughout the mixing process. Once this is done I begin to address any issues with badly recorded instruments, any technical issues like that, such as timing, etc. After that I simply keep listening and adjusting different parts and instruments of the mix until it gets to a point that I can really vibe off of the mix, where it really starts Feeling Good. At that point I might ask the artist for some input as far as more delicate level balances, etc. A: My studio is a one room mixing suite, which also has the ability to do overdub recordings from vocals, all the way to a small drum kit. I have an extensive collection of microphones for that purpose, and a few choice outboard pieces of equipment which I prefer to use over others. My recording DAW is Pro Tools HD, the industry standard, and the computer has enough plug ins to get most anything sounding better. The studio is set up as if it was just another room in my home, although a lot has gone into sound proofing, but in an invisible way, so it does not feel like some factory or office space. A: As far as musicians go, David Bowie's music is a great inspiration, as well as Bob Dylans entire catalog, and some early blues records also, like Howlin' Wolf, Muddy waters, etc. Some of my favorite recordings, as far as creativity go, are the ones done by Jimi Hendrix and of course, the Beatles and The Beach Boys. Some of my reference CDs I take everywhere include Mark Knopfler "Sailing to Philadelphia", Tom Petty's "Wildflowers", and Johnny Cash's "American IV", along with a few classical recordings of Chopin works and Mozart, done mostly by european record labels in the mid 1950s to late 1960s. A: I mostly mixing of music, from multi track recordings that clients provide. I also do overdub recordings at my studio, if the need arises, along with editing the music if needed. 50 % deposit on all work. Remainder due upon completion of project. Usually 2 mix revisions with notes are acceptable. Turn around depends on your and mine schedules. I have agreed to produce a new poetry album for Poet Laureate Ty Gray-EL, who resides in Washington D.C. This is somewhat of a departure from traditional albums, in that it is spoken word, and we have to come up with a very interesting musical accompaniment for the poems that are being chosen for this project. Look for it early 2016. I have been listening to some Jimi Hendrix on vinyl lately.